A while back I decided to purchase a gift set of RMS Luminizers, which included its top seller, the Living Luminizer, as well as the Magic Luminizer and a limited edition Gold Luminizer that is exclusive to the set. The Living Luminizer in particular has been extremely popular lately and always appears to be sold out. I figured I’d give them a try and see whether they were worth the hype. So did they live up to their expectations? Keep reading to find out! As I mentioned before, I bought these RMS Luminizers as a gift set. I got all three with a brush (which I will not discuss because I never use it and find it to be of low quality) for $100 CAD from Beautylish. If I remember correctly, the Living and Magic Luminizers are available to purchase individually for about $47 CAD. The Gold Luminizer is not available individually. The RMS Luminizers are made with castor and coconut oil and are meant to be used for more natural looks, so they provide more of a sheen rather than a glittery, metallic, highlighted look. They are packaged in little pots which may seem unhygienic to some, however because of the way they’re formulated, I believe that using your fingers is the best way to use these products. 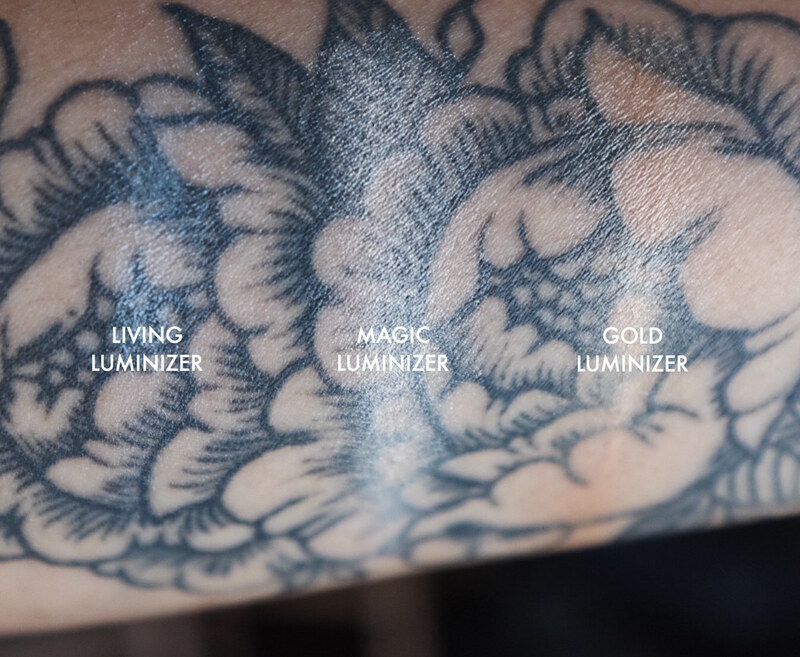 The Living and Gold Luminizers have very similar textures. They’re both very balmy, sheer, and easy to blend. 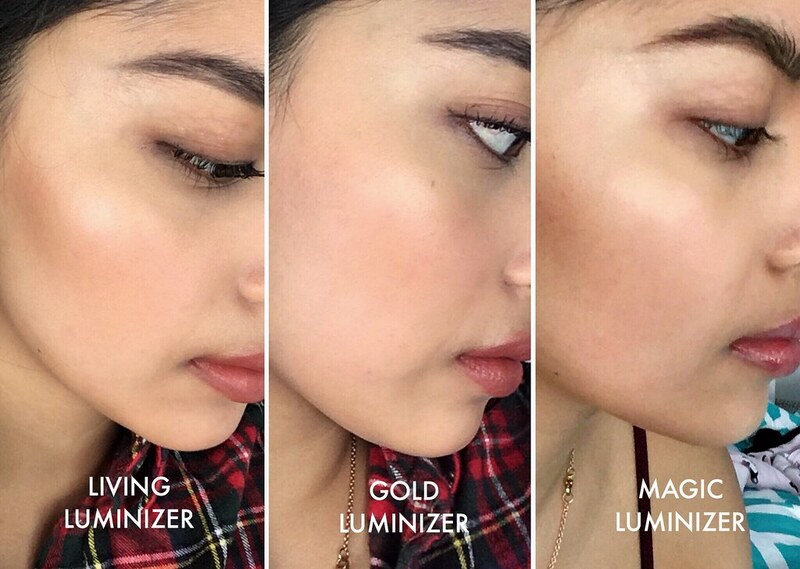 The Living Luminizer is the most toned-down out of all 3 highlighters included in the set. It has an opalescent look to it once it’s blended onto the skin. The Gold Luminizer definitely reflects more of its pigment but is still very subtle. 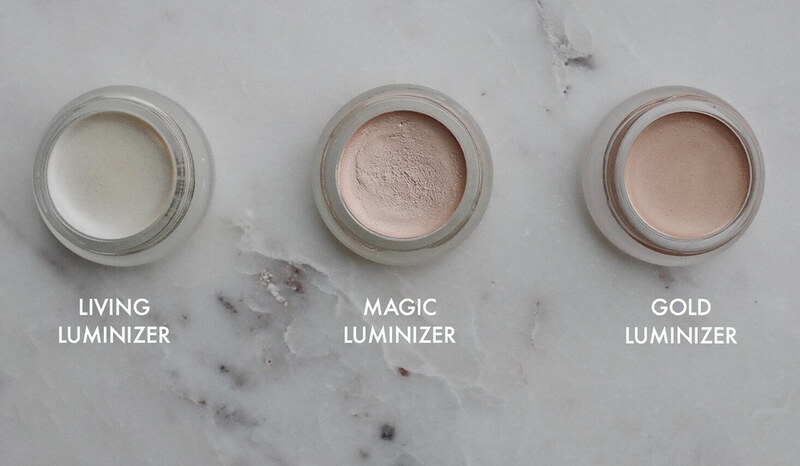 The Magic Luminizer is quite different from the other two. Its texture is not as balmy; in fact it feels almost grainy. It has more pigment, and it’s not as easy to blend out. It’s the most intense one out of the 3, however I still wouldn’t consider it to be a blinding highlight. It looks very metallic on the skin, and in some angles it can look nice, however I really don’t like how chunky the formula is. All three RMS Luminizers heavily swatched. In the image below, it is clear that all of these highlighters are very sheer and natural. The Living and Gold Luminizers look and feel like a gloss more than anything, although I prefer the look of the Gold Luminizer over the Living Luminizer. I find the Living Luminizer to be too balmy and sticky for my liking. The Magic Luminizer looks the most intense, but it was difficult to blend it out and sometimes looks blotchy on the skin. I’m quite disappointed with the RMS Luminizers. I like subtle makeup and I usually go for a subdued look, however these highlighters just didn’t wow me and were not very convenient to use either. The Living Luminizer, their best seller, almost felt like glorified Vaseline with some shimmer. The Magic Luminizer didn’t have a pleasant texture. I would recommend trying the Colourpop highlighter in Wisp for something similar with a better texture and is significantly more affordable. The only one I use on a regular basis is the Gold Luminizer, which unfortunately is not available to purchase separately. I wouldn’t recommend these highlighters given that they are very expensive for what they are. I also think that the coconut oil has been breaking me out on my cheekbones, so that’s something to consider as well before giving into the hype. 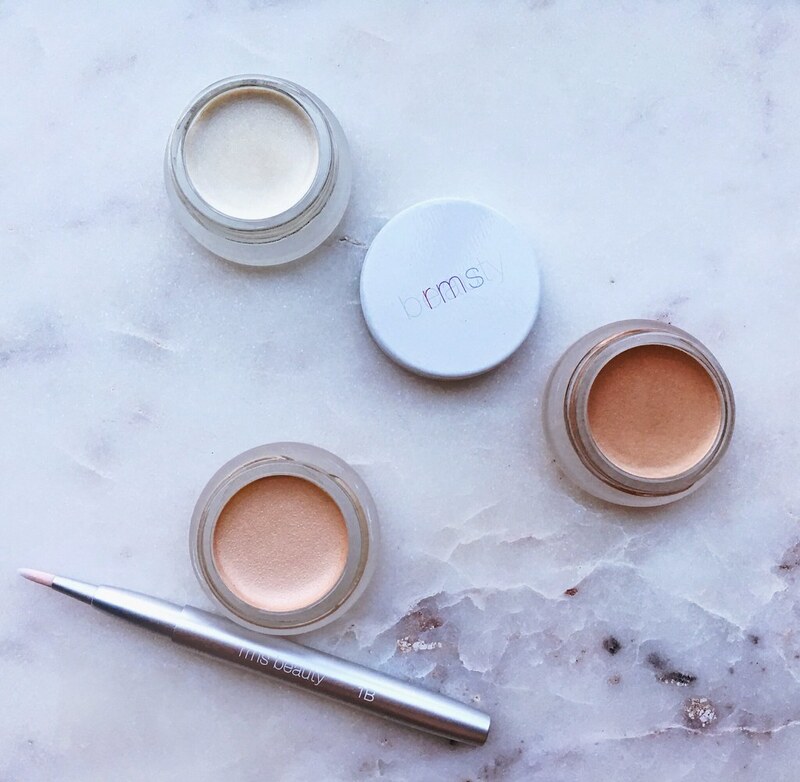 Have you tried any of the RMS Luminizers? What are some of your favourite natural highlighters? This coming from a person who has both Colourpop highlighters and RMS Luminzers and I far reach for RMS more so than Colourpop. Comparing RMS Luminizers to Colourpop highlighters is an unfair association. RMS Luminzers luminize, creating a candlelit look while Colourpop is more of an Instagram highlight which frequently look overdone and obvious in person. The RMS luminizers are seen, but look more natural in person. Hi! I agree that RMS Luminizers are quite different from the Colourpop ones. I don’t believe that the Colourpop highlighters are substitutes for the glossy sheen that RMS luminizers are known for. However, the Magic luminizer is completely different from the other two I mentioned in the post. I understand that it’s meant to be more intense, however the texture is not smooth and balmy at all, and I think that compromises the subtlety of the product. Colourpop highlighters can be very intense and overdone, however I believe that Wisp can be used sparingly in order to give the natural yet bolder look that the Magic luminizer was meant to deliver. I agree! I don’t understand the hype around these rms products. I was so disappointed when I finally got them home. 1. Packaging feels super cheap. Like those jars you can get from amazon for pennies. For $38 a jar I expected something nicer. 2. Mine smelled weird. They have a “old makeup” scent. I don’t know if this is something normal with this brand. 3. I bought the exact same set you did, and all 3 are just Meh. I wanna cry I spend so much money on these. Worst part I didn’t realize rms does not accept returns. I swatches these (obviously) and they said we only accept unused items back. Never again RMS. I’m sorry you also had an unpleasant experience with these highlighters 😦 I really regret purchasing these. It’s been months since I’ve made this post, and I have barely touched these products. It’s just too much fuss to use and way too expensive for what it is.